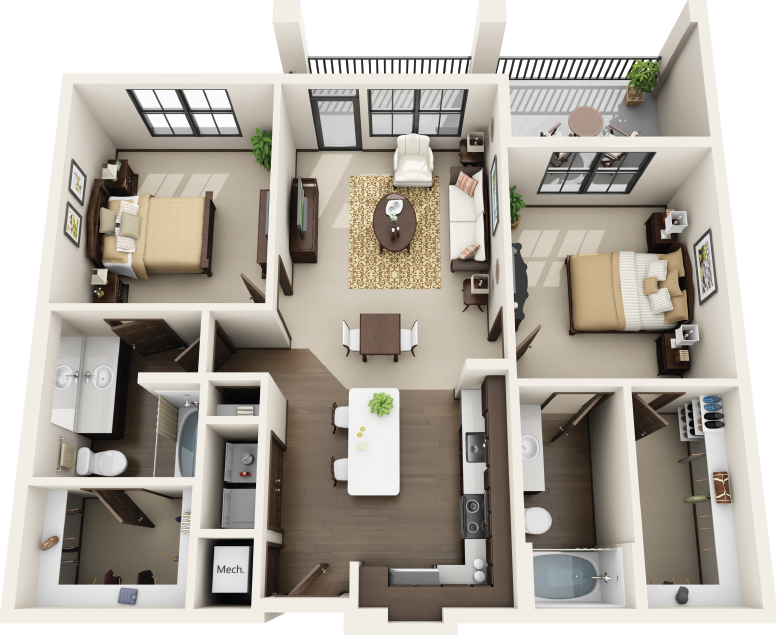 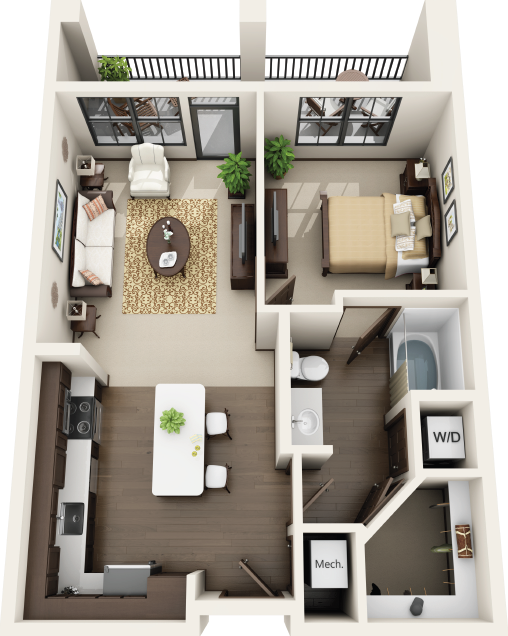 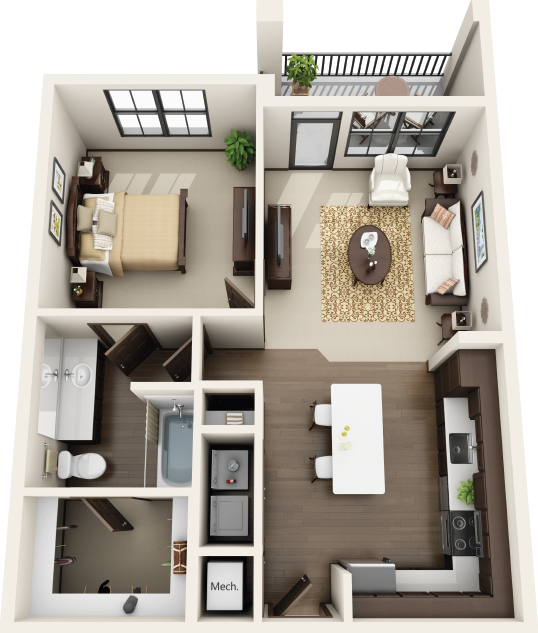 Riverhouse Apartments has an impressive selection of eight spacious floor plans. 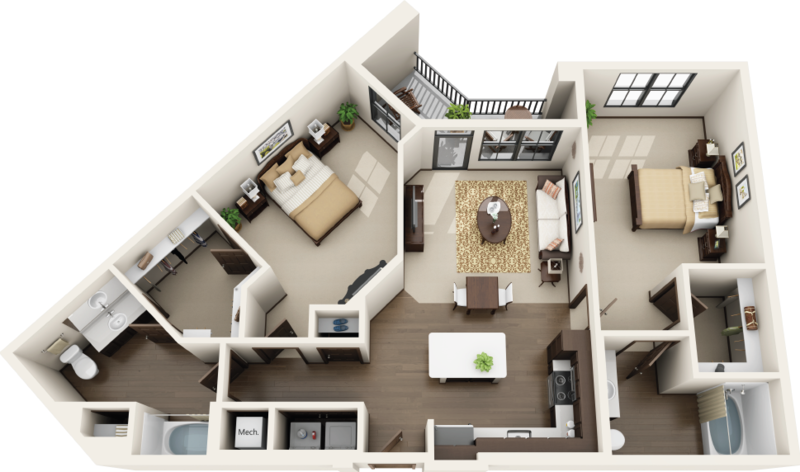 Our one, two, and three bedrooms provide every convenience, with layouts featuring a stylish living room, dining area, and kitchen. 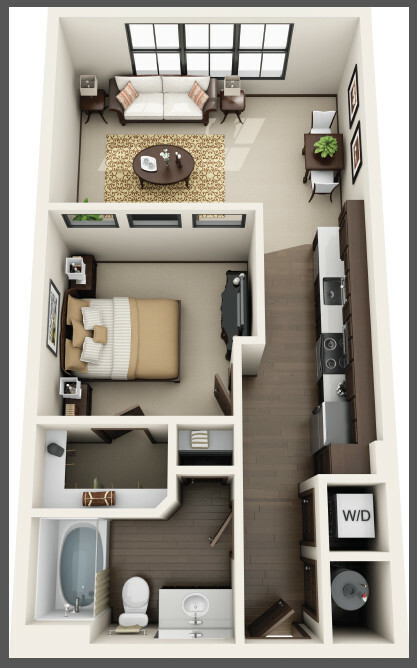 Endless amenities are at your fingertips with our stainless steel appliances, generous closet space, and an in-home washer and dryer. 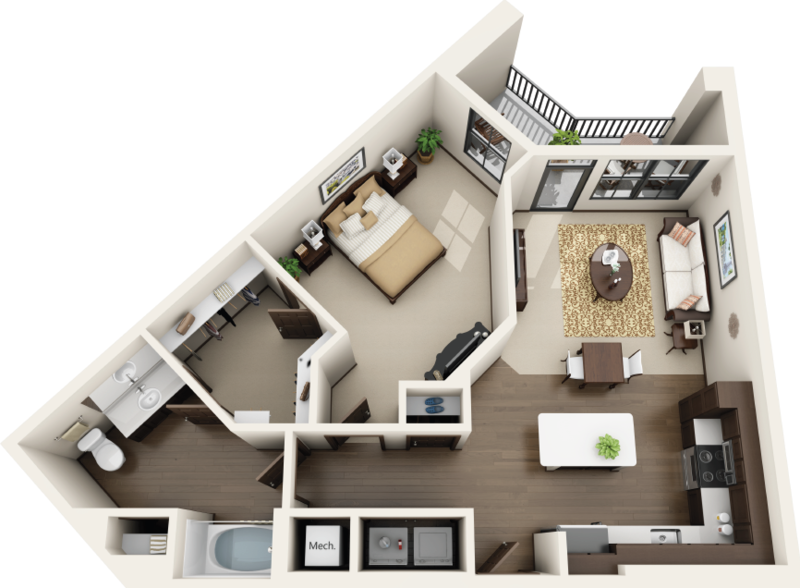 Right outside your door our community serves as an extended living space, offering a generous list of benefits that give you a resort-style living experience. 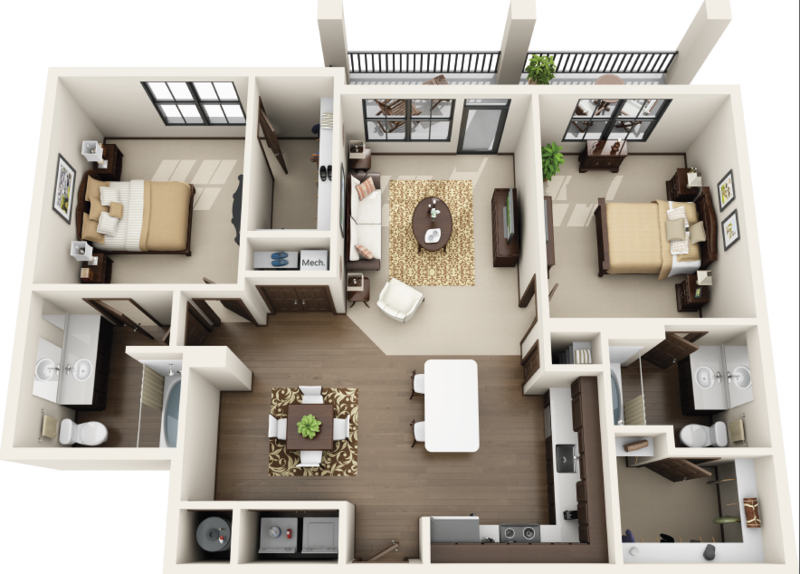 Take a dip in our dazzling swimming pool, sweat it out at our state-of-the-art athletic club, or grill up some fun at our outdoor grilling and entertainment space. 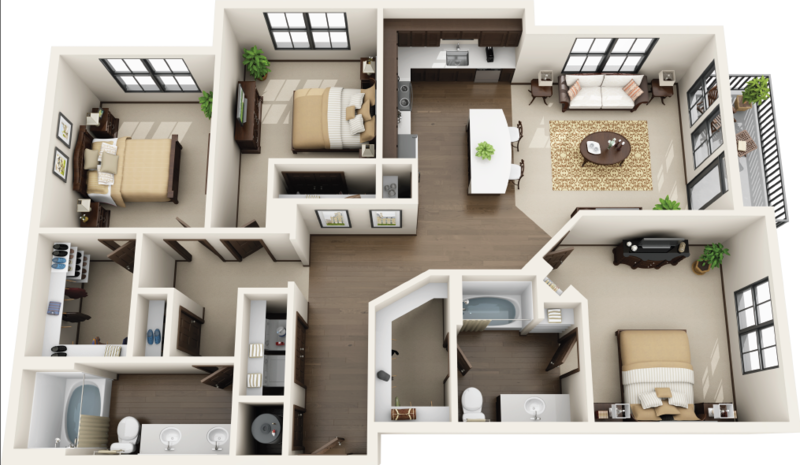 With our generous selection of floor plans, potential residents will be able to find the perfect fit for their unique lifestyle at Riverhouse Apartments.